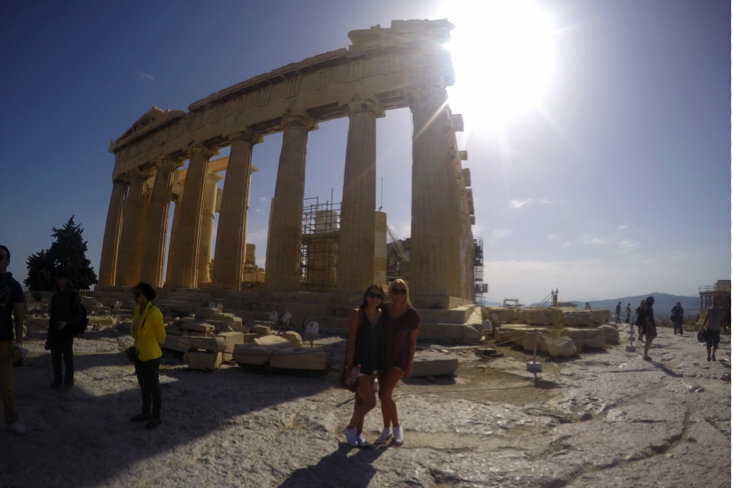 Lindsey Jesukiewicz, a junior from the University of South Carolina, gives us a very insightful and though-provoking blog comparing her journey in Greece to an ancient structure. The Parthenon sits 490 feet up on top of the sacred rock of Athens, the acropolis. The word “acro” literally means “high up”. Hiking up to the top our very first day symbolizes our journey abroad conquering new levels of culture and experiences that may be outside of our comfort zone. Once you get to the top, you realize how worth the climb was and how it has shaped you as a person. The Parthenon is in the heart of the city of Athens that embodies the immense beauty it has to offer. The carefully constructed details of the sculptures and engravings are unbelievable. It was built in the Doric architecture style that incorporates optical illusions to give the temple the perfect structural appearance. This demonstrates the Athenian desire to be perfect god-like beings. It is a whole new type of beauty that going abroad gives you. The finest and most prestigious monument of ancient Athens, the Parthenon, dominates the center of the modern city. 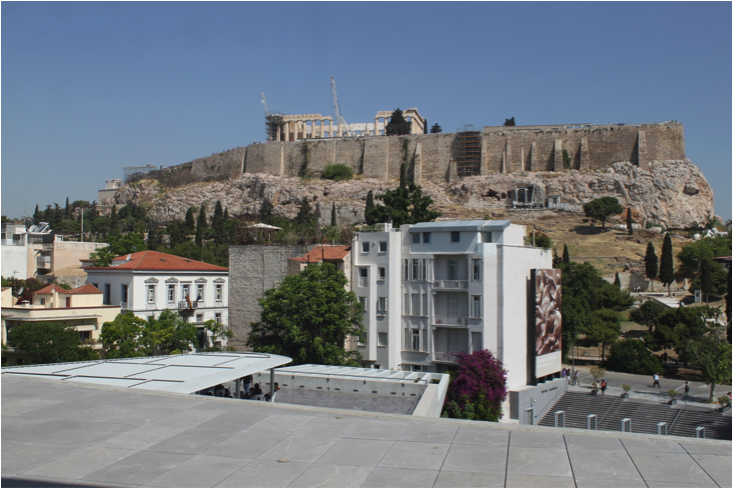 It truly resembles the rich history and traditions that Athens symbolizes. 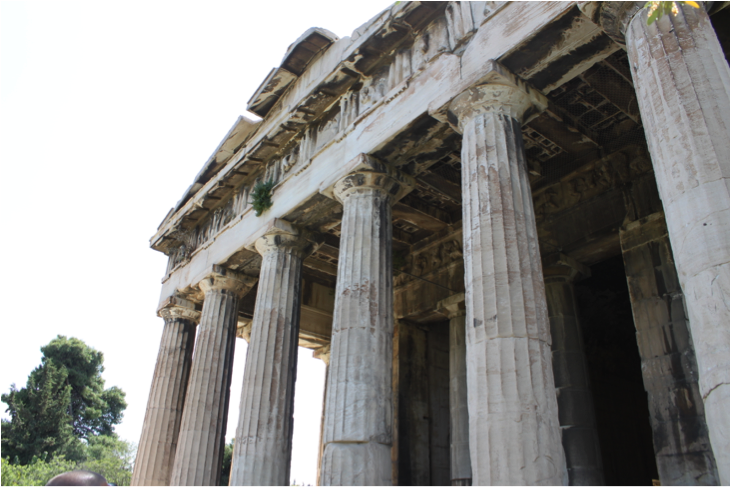 Dedicated to the goddess Athena, this temple was built on top of the acropolis around 450 B.C as a temple. The history of being abroad makes you realize how life isn’t just about living in the present moment, but also about embracing the past. 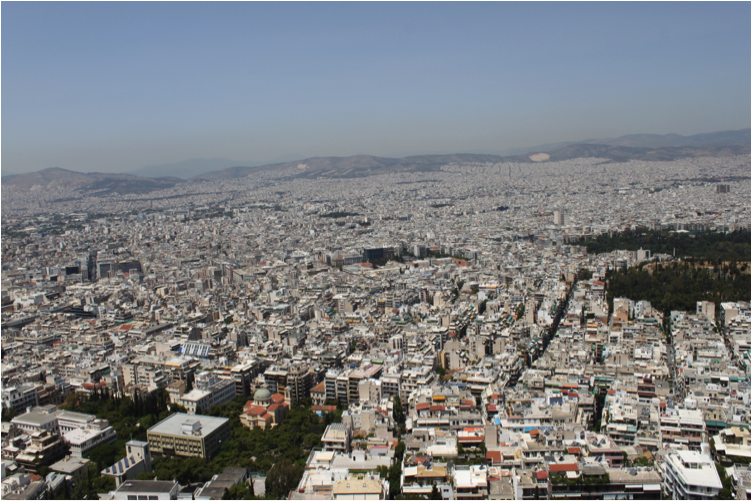 Standing on top of the Acropolis looking down at Greece gives you a whole new perspective on life. There is so much more to the world than we realize and it is truly aweing to be immersed in such a new culture that we have never ben exposed to before. It made me realize that traveling has been the most enriching part of my life. 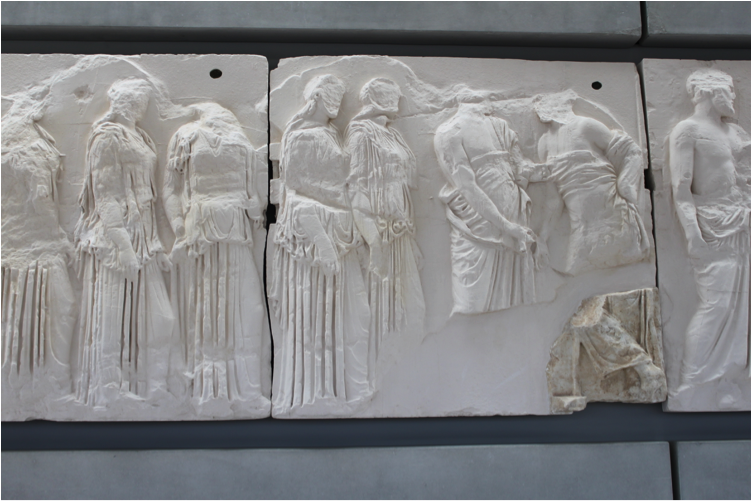 Although the Parthenon started out as a temple dedicated to Athena, it withstood a lot throughout history. It has been shot at, set on fire, rocked by earthquakes, robbed for its sculptures, and almost destroyed by explosion. It has also been converted from a temple, to church, to mosque and so much more. The Parthenon serves as a reminder that we go through so many different obstacles in life, but after every obstacle we are still standing and they become a part of who we are.